The White Night of Teguise 2018 will count next Friday, July 27, with a full moon and the longest eclipse of the century, which according to experts can be seen from eight o’clock in the afternoon. A few hours before the show will begin at street level that for 7 years successfully organizes the City of Teguise in its precious Historical Set of the Real Villa, which offers in each edition its patrimonial and architectural wealth to thousands of people with the purpose to illuminate the culture in a unique setting in Lanzarote. The courtyard of Los Leones del Palacio Spínola hosted this Friday the presentation of the special program of the White Night of the 600 years of History of Teguise, with multiple and varied cultural, sporting and gastronomic leisure offers in all corners of the town from the 5 in the afternoon until 4 in the morning . 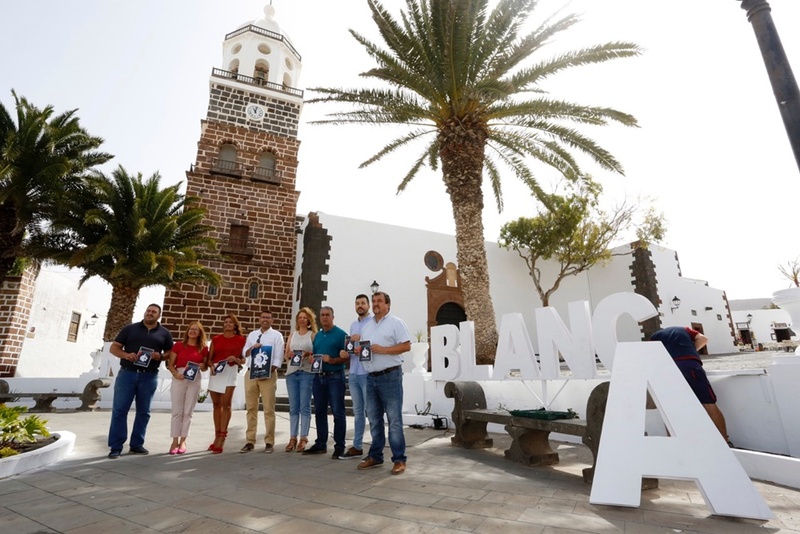 The mayor of Teguise, Oswaldo Betancort, and the person in charge of Culture, Olivia Duque, accompanied by all his Government team, gave an account of the commitment of the City Council of Teguise for once again invigorating the Historical Complex “with the best possible atmosphere and convinced that once again will reign civility, good atmosphere and respect for the environment, “ said Betancort during the presentation of the program.